Since COERLL began in August 2010, the biggest lesson we’ve learned is that open educational resources (OER) are the products of a community of end users. Just as Wikipedia is the result of its contributors, OERs result from educators and learners who collaborate for the greater good. Having learned this lesson, we have shifted our emphasis to the creation and curation of a community of open educators. Dialogue is the key to developing a community, including the COERLL community. To that end, we have taken multiple steps to foster dialogue with those interested in the benefits of open education for language learning. We have added Facebook sites to several of our OERs such as Français interactif, Deutsch im Blick, and Brazilpod. 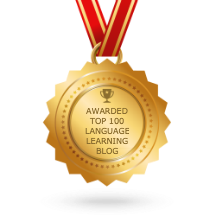 We have begun this blog — Open Up — to dialogue directly with language teachers and OER developers. During the conference, speakers emphasized the role of dialogue in different types of human interaction, including the professional sphere, e.g., doctor-patient interaction, teacher-student interaction, and reporter-editor interaction. While the speakers came from different theoretical backgrounds — interaction analysis, conversation analysis, dialogue analysis, and ethnography of speaking–they shared a common goal: to understand the role of communication in communities of practice. As part of the conference program, COERLL hosted a panel discussion on the theme of “Curating OER Communities of Practice.” Orlando Kelm, developer of Brazilpod, spoke about his efforts to curate a community of practice among the users of this popular Portuguese website. The directors of SPinTX (Spanish in Texas), Jacqueline Toribio and Barbara Bullock, discussed the challenges of getting different communities to talk to each other. For example, the SpinTX project facilitates a dialogue between Spanish language educators and the developers of the Spanish in Texas video corpus in order to build a pedagogically friendly interface for the videos. The bottom line is this: OERs are the product of their community. And dialogue is key to community-building. So, please, help us build the COERLL community by dialoguing with us. Conference attendees, please feel free to add comments here about the event. Did the experience spark new ideas, new collaborations? Please share your experience. Together, we can build better OERs and a more open world. Next Post >>Give Us Some Credit!